We laud Kanakadasa as a ‘national saint’ but Kanakadasa’s works are circulated only within the world of Kannada Literature. Of course, in the recent years a serious contemplation on the study of Dasa (Keerthana) Literature, especially on the literature composed by Kanakadasa is being carried out in the world of Kannada Literature. The compositions of Kanakadasa are being studied in the backdrop of socio-cultural and linguistic levels or areas. There is enough of discussion, being brought to the front, regarding the relevance of the compositions of Kanakadasa in the contemporary context rather than merely studying them in relation to the time, of their composition. But is it enough if these new ideas get circulated widely only within the world of Kannada literature? Is it not necessary that the various dimensions of Indian literature be made known not only to the native language readers but also to the readers of other languages at global level? The poets of the Northern part of our Sub-continent such as Guru Nanak, Tulsidas, Meerabai, Narasi Mehta, Lalleshwari and many others are well known worldwide. In the true sense of the word they are the ‘National saints’. Kanakadasa, who also stands on the pedestal of ‘national saints’ is not known to the people of other languages. That too for a foreign reader he is almost unknown and unheard. It is really a bad luck in the part of the Kannadigas! In this regard, there is enough of responsibility on the shoulders of the Kannadigas to make Kanakadasa a ‘National saint’ in the true sense of the word. 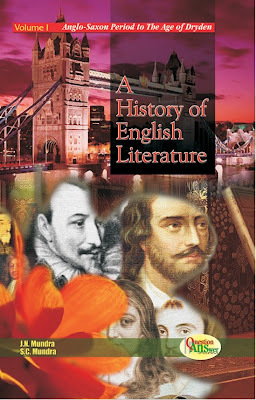 What is to be done most importantly now is not only the translation of the literature produced by Kanakadasa into Indian Languages but also into other foreign Languages and dissemination of his (Kanakadasa’s) Literature throughout the world through English Language which happens to be the window on the western part of the world. At such a point of time here is a model of avatar (incarnation) of keertanas (the selected ones) of Kanakadasa into English right before our eyes. 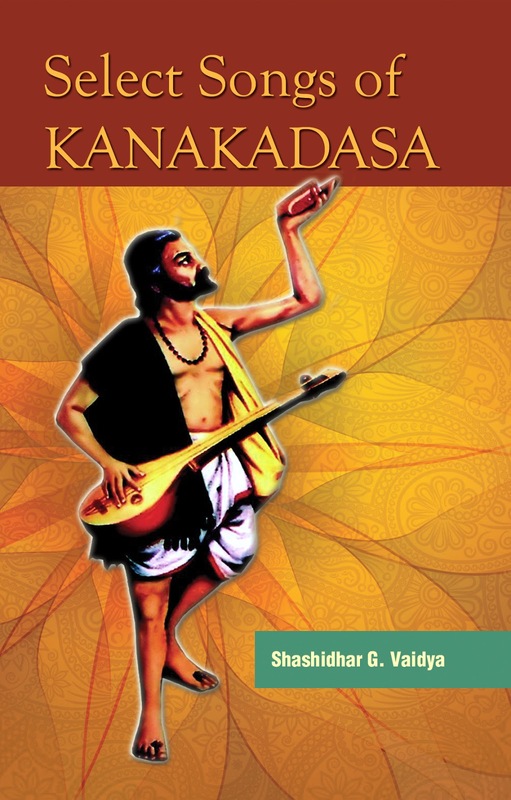 Of the approximately 300 keertanas of Kanakadasa Dr.Shashidhar G. Vaidya has chosen one hundred and two keertanas for his translation and has interwoven them very beautifully into English. Breathing a culture of one language into a cultural zone of another is really a challenging task. The translator Dr.Shashidhar G. Vaidya has carried out the task quite successfully and has marched out victoriously in the job. The old concept of literal translation or lexical translation has become obsolete and irrelevant in our contemporary days. What we need today is the successful linguistic cultural exchange that takes place between two languages. This is not only a give and take (adan- pradan) relation that occurs between two linguistic cultures but also a kind of inter disciplinary proceeding. While capturing the idiom of Kannada language into other languages (especially into a foreign language) the translator is expected to possess the ways of usages of both the languages/cultures. There should not be any scope for distortion of the motifs of the author of source language in the process of translation. In doing so it must not result into a literal translation or word by word translation. The text of the source language must result into a kind of re-writing into the target language, and must suit aptly to the idiomatic peculiarities of the target language. Therefore the process of translation is regarded as a process of Re-creation or trans-creation. That translation, which can liberate a text from its original language and confer the status of ‘Relative autonomy’ upon it, is often regarded as a triumphant translation. In this regarded Dr. Shashidhar G. Vaidya’s attempts appear to have attained success. 14. Have You Seen The Infant? 21. What Shall I Say…? 27. O Narayana Where Do We Have Homes? 29. Can the Scholars Stay…? 34. How Shall I Eulogize Thee? 36. In What Glory Did You Forget Me? 52. Am I Born And Come...? 54. How Did You Become a Dasa...? 61. O Hari Who Did Survive On Trusting Thee? 62. O Man Learn to Live With Prayer:..
65. Why Consider Another Name...? 69. Why Flaunt of Loneliness...? 80. Are All Those Who Hold Teertha Hallowed...? 84. What is This Religion? 89. O Man Why Do You Worry...? 96. O Hari Why Have You Slept?